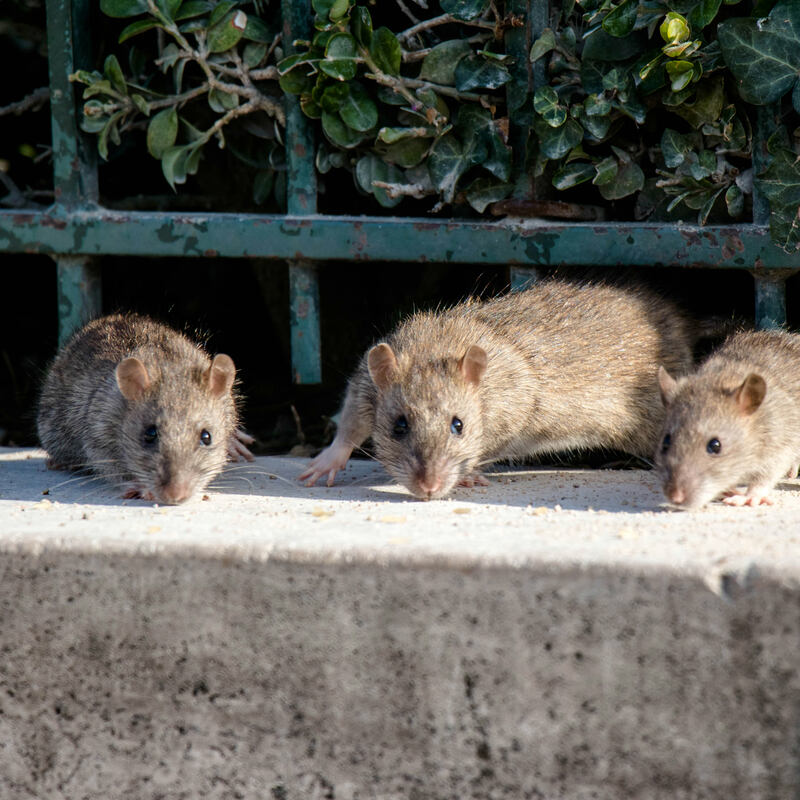 Rats aren’t native to North America, but stowed away in ships carrying early European settlers. Since that time, the disgusting, destructive rodents have taken up residence in nearly every part of Canada and the U.S. The two most common rats in North America are roof rats and Norway rats. Norway rats are larger rodents that live on the ground and in lower parts of buildings. Also known as brown rat, sewer rat, house rat, water rat or wharf rat, Norway rats are primarily found inland. Roof rats are sleeker with larger ears and longer tails. They live in higher areas such as attics and upper stories. Roof rats, dominant in coastal areas, are also known as ship rat or black rat. 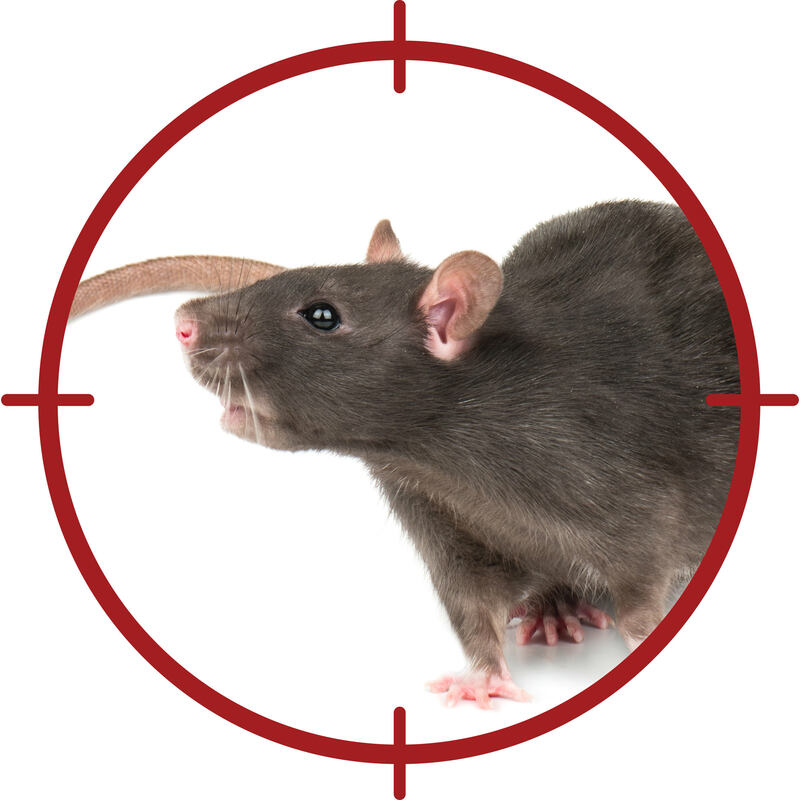 Although the first sign of rats is usually droppings, you may notice scratching noises at night or piles of nesting materials in secluded areas. Prune dense shrubbery and vines. Store lumber and firewood off the ground. Pick up uneaten pet food at night. Place garbage in rodent-proof cans with tight lids. Store bird seed in metal containers (or stop feeding birds entirely until the rat problem is controlled). Seal cracks and openings in buildings. Ensure doors and windows are tight. Cover vents and openings with wire mesh. Plug holes with steel wool. These devices emit a high-pitched sound that makes rats panic and run away. Commercial repellents may be useful for small infestations. Commercial bait stations are made of sturdy metal or plastic and most are tamper-resistant. Purchase stations large enough to accommodate rats, then place them where they are inaccessible to children and pets. If you have Norway rats, place the traps close to the ground. Higher spots such as attics, rafters or ledges are more effective for roof rats. Traps are a good option if you prefer not to use poisons. Purchase rat-size traps and bait them with fruit, bacon, cheese, gumdrops or pet food.